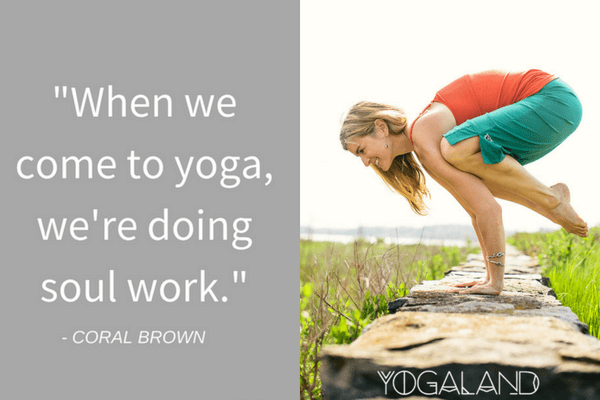 This week, Coral Brown offers her take on the psychodynamics of the teacher-student relationship in yoga. 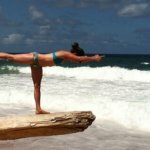 Coral is both a respected Prana Vinyasa yoga teacher and licensed mental health counselor with great insight into this topic. There are obviously major differences in the therapist/patient relationship vs. the yoga teacher/student relationship. Yet, many of the same psychodynamics arise. 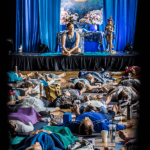 Coral shares how transference, countertransference, unmet needs and behaviors all make their way into the yoga room, whether we’re aware of them or not. 1. Mahabis sell incredibly comfortable, Scandinavian-inspired slippers with unique detachable soles. The detachable soles clip on and off easily, so you can even wear your slippers outdoors, or to and from your yoga class! Head to mahabis.com to buy your pair today. Use code YOGALAND for 10% off and free shipping worldwide. A conversation about manual yoga adjustments (also called “hands-on assists) in yoga is long overdue. 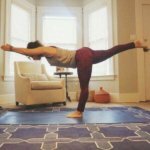 For the past five years in my workshops, trainings, and weekly classes, I’ve been advocating for a paradigm shift: I believe that yoga teachers need to stop acting like stretching machines and exerting leverage on students’ bodies to intensify or “enhance” a stretch. Why? The answer is simple: This is a mechanically flawed approach to working with bodies and it results in countless avoidable injuries. I’ve seen plenty of anecdotal evidence of this – and, if you’re a yoga teacher, I’m sure you have, too. During my trainings and workshops I ask students to raise their hand if they’ve been injured during a manual adjustment. There has never been a group where less than forty percent of students have raised their hand. I think you’ll agree that this is too much. As a community, we can drastically lower this number. I’m not saying that experienced teachers shouldn’t provide appropriate manual feedback. I’m still an advocate for manual yoga adjustments—or, what I usually call them, “manual cues.”(Listen to this week’s Yogaland podcast to hear me talk about this more.) There is nothing better in class than receiving an excellent manual cue. The body falls into place and the nervous system relaxes. Unfortunately, the opposite is also true. There’s nothing worse than receiving a poor or inappropriate adjustment—the body strains, the breath tightens, and the nervous system becomes agitated. A good yoga adjustment skillfully communicates the actions of the pose to your body so that your body understands the posture more clearly. A bad adjustment is invasive and misguided. During lousy adjustments, the teacher is either working with a lack of experience and information or an abundance of ego. So what is the paradigm shift I’m talking about here? First, I ask that teachers stop exerting leverage on the part of the student’s body that is moving. Instead, provide increased grounding and stability to the part of the student’s body that is fixed. Let’s take Wide-Legged Seated Forward Bend (UpavisthaKonasana) as an example. 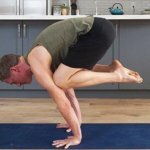 In this pose, the pelvis and spine rotate forward over the thighbones—they are the “moving” parts of the pose.The thighbones root down into the ground—they are the “fixed” part of the pose. Do not add leverage to the pelvis and spine. Instead, press down on the thighbones. Grounding the student’s thighs will allow the pelvis and spine to release further into the pose without the vulnerability that comes from adding direct pressure onto the pelvis and spine. This is just one of countless examples. Another component of this paradigm shift is to view manual cues the same way we view verbal cues. Manual cues—like verbal cues—simply communicate the actions of the pose to the student. The idea is to use your hands to communicate directly to the student’s body so he or she has a better understanding of the pose. The idea is not to use your hands to press a student further into the pose. You are not a stretching machine that is doing the pose to the student. You’ll get pretty busy during class: you’ll be sequencing, verbalizing, adjusting, observing group dynamics, managing the clock, adjusting the tempo, and so on. It can be challenging to simply pause and patiently see a student’s body clearly. Instead, you might notice the most obvious element of a student’s pose and set your sights on giving an adjustment that involves leverage. However, it is important to observe your students before you dive in. This pause will not only help you more accurately assess the room, it will help you become grounded before you attempt to steady someone else. As you assess the room, look for dangerous or uncomfortable postures. Adjust these folks before you walk around and offer a “deepening” adjustment to someone who doesn’t actually need any help. It’s more important that all of your students are working safely than deepening someone’s backbend. 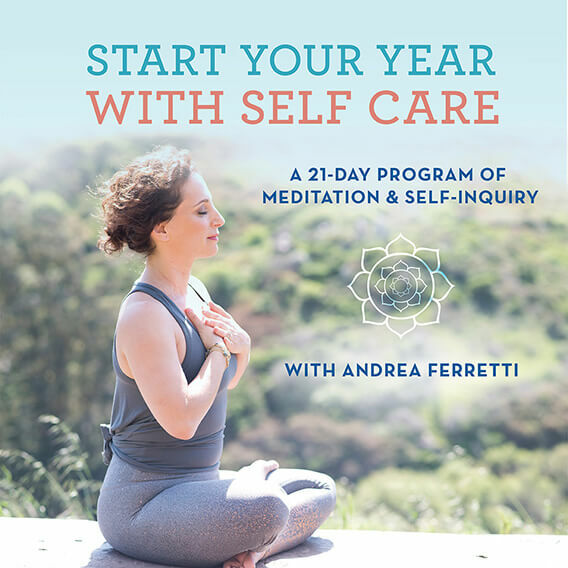 Aim to help your students find greater steadiness, ease, and integrity in their postures. Instead of trying to increase range of motion, figure out how you can help them feel more grounded and balanced. Adjustments that increase intensity can be dangerous—especially if the student is not grounded. Unfortunately, many teachers want their students to have “breakthroughs” in their class since these experiences can build an attachment to the teacher. These types of egocentric adjustments often contribute to injuries. One of the best ways to adjust your students is by helping them create balanced, stable contact with the floor. If a student’s postural foundation is off, the rest of their body will have to work even harder to maintain equilibrium. Their effort will be inefficiently distributed, creating unnecessary tension throughout the body. It is common for students to have a stride that is too long or too short. Helping students size their stride correctly can be one of the most thorough stabilizing adjustments. Most students are near their maximum range of motion (at least in the short term) before their teacher adjusts them. This means that your students are already at their edge before you give them any manual cues. Your student is already at a stress point and any additional motion in the posture should be mild. There’s a fine line between deepening the pose and creating an injury. A very fine line. It’s much safer and more skillful to work with a student that you know well. And, remember our earlier point: You’re not a stretching machine—don’t exert force on the part of the student’s body that is already moving in the posture. Simply use your hands to create more stability and grounding so they can release deeper into the pose on their own. No one likes a rushed adjustment. 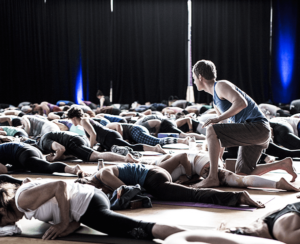 Hasty yoga adjustments are unsettling to the mind, body and nervous system. Take your time adjusting your students and surrender to the fact that people aren’t going to get touched 800 times in class. Fewer good adjustments are always preferable to more mediocre adjustments. Sometimes when you adjust a student, you will feel them melt into the new position with comfort and relief. Other times, you will feel the student’s body resist by flinching or tensing. Sometimes a student may not want additional intensity or they’re protecting themselves because they’re nursing an injury. It’s important to observe your student’s breath and physical signals when you give them an adjustment. Sensing and responding to these signals is essential for developing skillful touch. In most manual adjustments, you can only guide one or two actions of the posture at a time. To enhance your student’s pose, offer a verbal cue that complements the manual cue. Let’s say you’re adjusting your student in Revolved Triangle by stabilizing their hips while lengthening and rotating their spine in the twist. You can verbally cue them to reach through their back leg and ground their outer foot. Don’t ask your students if an adjustment feels good! You won’t always get candid feedback since very few students will feel comfortable telling you that they don’t feel good in the adjustment. Instead, ask your students, “Do you want more intensity, less intensity, or the same intensity?” You don’t have to ask this question every time you make an adjustment. But, if you’re going to ask them if the adjustment is working for them, this is the best way to go about it. 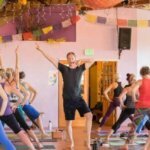 * How often should I change my yoga class sequences? * How do I sequence my classes given the large influx of new students in January without alienating my established students? * If I let my pelvis rotate during twists, will it cause a hip impingement? 1. 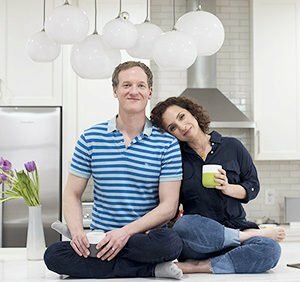 Did you know that you can save money on your life insurance just because you do yoga? Health IQ is an insurance company that helps yogis get lower rates on their life insurance. To see if you qualify, get your free quote today at healthiq.com/yogaland or mention the promo code YOGALAND when you talk to a Health IQ agent. 4. To my women listeners out there – have you tried Lola yet? LOLA is a female-founded company offering organic cotton tampons, pads, and liners. For 60% off your first order, visit mylola.com and enter the code YOGALAND when you subscribe. One of my favorite quotes from Jason is,”I believe that we should embrace anything and everything that helps us and our students be well.” On this episode, we dive into the meaning behind that quote and why it’s important to advocate for our students to try other modalities if needed. 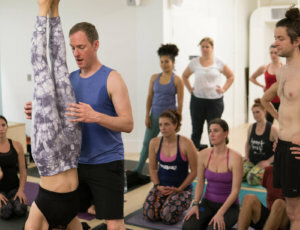 There are times when yoga teachers feel pressured to know all of the answers or to make a diagnosis and there are also times when we unintentionally make our students feel guilty if they’re not finding healing in the yoga room. Jason dispels these ideas and helps teachers cope with not having all the answers.